David Way Named Kiwanian of the Year 2016! 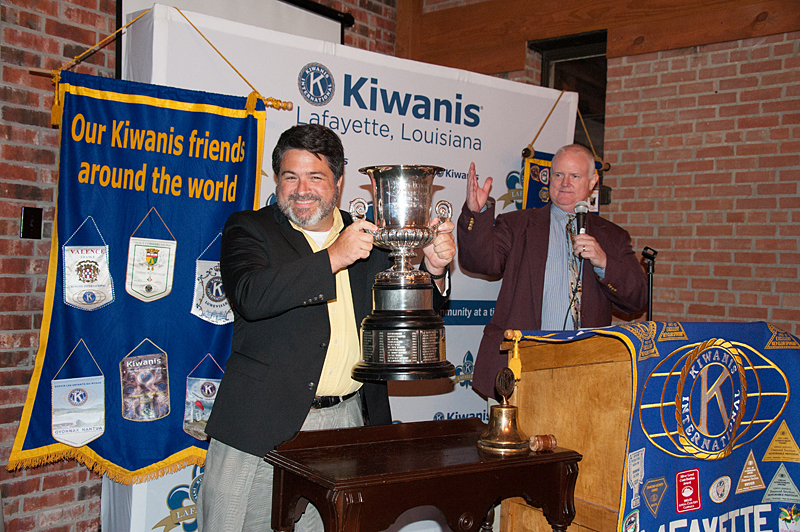 At our recent Kiwanis Installation Banquet, David Way was named our 2015-16 Kiwanian of the Year! Our 2014-15 recipient, Michael K. Smith, presented David with the Henry Heymann Memorial Award. David has served as Club President for the 2014-15 year, and as CEO of the Kiwanis of Lafayette Foundation. David is also a member of the Jamboree steering committee. After just completing his term as Immediate Past President; David was elected to serve as Lieutenant Governor for Division 7 of the Louisiana-Mississippi-West Tennessee District. Past Lieutenant Governor, Bill Penny, was on hand to transfer the Lt. Governor Home Club banner.